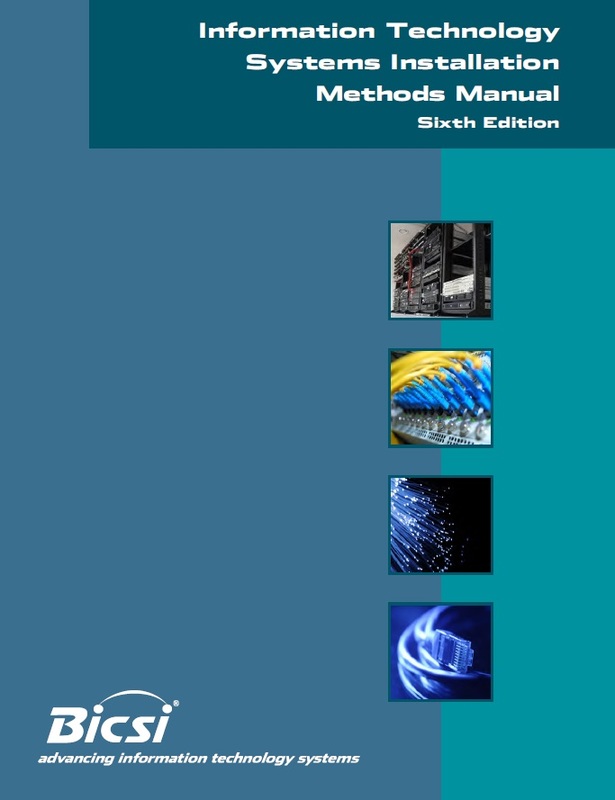 The new 6th edition of BICSI's Information Technology Systems Installation Methods Manual (ITSIMM) has been greatly expanded to include three new chapters covering data centers, health care facilities and enhanced safety procedures. Existing content from the ITSIMM, 5th edition, has also been thoroughly updated to reflect new installation technologies in the constantly evolving information and communications technology (ICT) community. Spanning 919 pages, the ITSIMM, 6th edition, includes 330 figures and 56 tables. There are a total of 12 chapters, with an overall Table of Contents (TOC), chapter TOCs, Glossary, Appendix, Bibliography and Index. It is a complete reorganization of the existing chapters of the ITSIMM, 5th edition, resulting in a high quality document providing installation personnel and planners throughout the world with BICSI best practices for ICT infrastructure in customer premises. This manual has been produced by a dedicated group of subject matter experts providing their combined talents, knowledge and insight within a very tight schedule. Note: Although the acronym (ITSIMM) remains the same, the new name of the manual is Information Technology Systems Installation Methods Manual.